Eight ASU sustainability experts were in attendance at the 2015 United Nations Framework Convention on Climate Change Conference of the Parties in Paris, France, Nov. 30 through Dec. 11. With expertise ranging from international law to ecology to ideology, policy and equity, Arizona State University was well represented in the media. In an article published near the end of the negotiations, Sustainability Scientist Sonja Klinsky was prominently featured in the Los Angeles Times. Together with Walton Sustainability Postdoctoral Fellow Manjana Milkoreit, Klinsky was also consulted for a piece on PBS FRONTLINE. 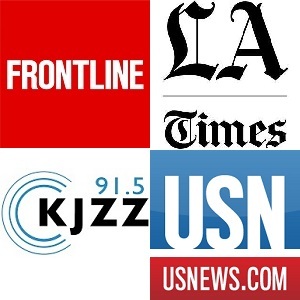 Foundation Professor of Law Daniel Bodansky was featured in articles by both US News & World Report and CNN, and local NPR affiliate KJZZ ran an interview with Klinsky and Bodansky, as well. Follow our web page dedicated to the COP 21 for more information about the experts, plus quotes, links to articles and more.